Koi and tetras have no business sharing a pond or aquarium. These fish have different care requirements. Additionally, they can represent a threat to each other, with different tolerances to disease and even predation. While both tetras and koi can make fine pets, you must always keep them separate to avoid harming your fish. The main reason these fish need different homes comes down to temperature. Koi prefer their water around room temperature, ideally around 68 to 72 degrees Fahrenheit. However, in outdoor ponds koi can survive temperatures down to the 50s during hibernation. Tetras come from the tropics and need temperatures from the mid-70s to the low 80s. While koi can survive tropical conditions and tetras can survive colder water, keeping a fish outside of its ideal temperature range can cause it stress. And stressed fish have a reduced resistance to disease, leaving them vulnerable. Koi have a generally peaceful nature. However, koi can grow to an adult size of more than 2 feet. This makes them more than large enough to devour most tetras. Many common aquarium tetras reach an adult size of less than 2 inches. While koi do not generally go out of their way to eat other fish, keeping such small fish alongside such large fish is just asking for trouble. Additionally, some tetras can threaten koi. When most aquarium hobbyists hear the word "tetra," they tend to think of the small, peaceful species. However, the tetra family also includes some larger, more predatory species. This includes the bucktooth tetra -- and the more infamous piranhas. Some predatory tetras can damage much larger fish by taking bites out of them. This means that a predatory tetra can threaten a koi, even if it is smaller than the koi. Additionally, tetras and koi have different housing requirements. 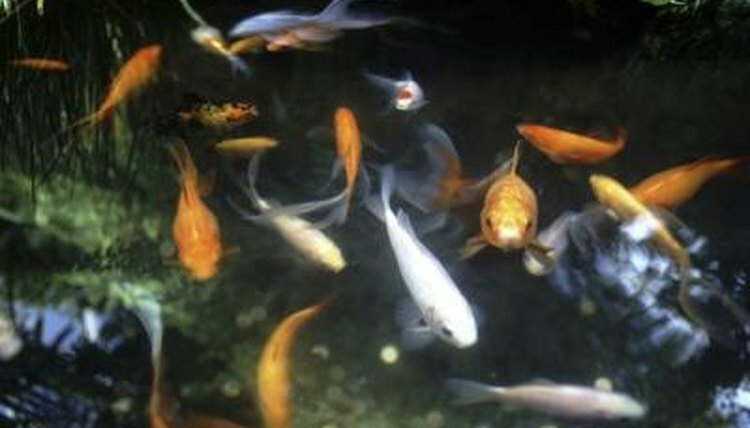 Koi need plenty of space, roughly 150 gallons of pond or aquarium volume per fish. Since tetras need heated water, having tetras in such a vast volume of water can require substantial energy expenditures to heat the water, especially in light of the fact that most smaller tetras do not require anywhere near this volume of water to thrive.